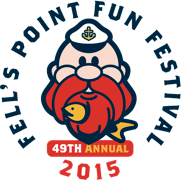 October brings you the Fell’s Point Festival. Ya know, the usual: food, music, alcohol—not much else to say, actually starts Friday with an opening ceremony. Note: One thing that looks awesome is the International Food Eating Contest.